Few things match the liberating feeling of finally hauling out household junk that’s been wasting space for months or years. But, when your cleaning catharsis draws near, it’s important to remember how to properly dispose of your unwanted goods. Improperly handled materials can be dangerous to the environment or even pose health hazards. Read on for a primer on how to responsibly trash your stash. Whether it’s a large washing machine or refrigerator, or a smaller item such as a grill, basic appliances that keep life running smoothly will sometimes break down. When this happens, have Kloos Hauling & Demolition take these items. There are many different laws governing appliance deposal, depending on their internal components, which can be tricky to navigate. Not only do we know how to properly dispose of them, but you’ll save your back by avoiding the heavy lifting. Display electronics are constantly improving, generating a constant turnover. Try to sell or donate your old items first, but don’t trash them if they don’t move. Many of these devices contain harmful chemicals. Monitors, for example, contain mercury, cadmium, lead, and other neuropsychological and respiratory toxins. Many of these devices contain metal and other materials which can be recycled to build future products. This recycled material offsets the amount mined from the earth to meet product demand. Even if it’s a peripheral, such as a printer or fax machine, see if you can donate your items to a local computer recycling center. If not, contact Kloos Hauling & Demolition, who will properly and safely dispose of your old electronics. Typically, tires must be disposed of at a specially-designated sorting and processing site. Trashed separately, they can pose environmental health risks. Kloos Hauling & Demolition knows just where to take them, so they won’t cause damage. 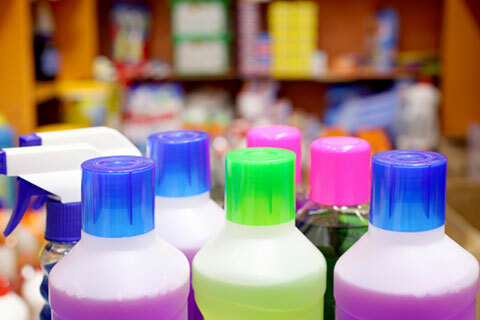 Whether you’re clearing out your pantry of household cleaners and pesticides, or removing a work area worth of paints, solvents, and antifreeze, these hazardous chemicals shouldn’t be thrown out in the trash. These harsh chemicals pose dangerous health risks to the environment, as well as to community water sources. Check with your community for a hazardous materials site, or contact Kloos Hauling & Demolition, who can easily categorize and dispose of chemicals the ‘green’ way. The best thing about responsibly removing your household junk is that a junk categorization and consolidation specialist such as Kloos Hauling & Demolition will remove your junk for you. We’re experts in environmentally-friendly disposal. Once we show up to remove your junk, you’ll never have to lay a finger on your stuff, again. Save the Earth, and your back, by making it a Kloos call – 204.955.1188 – today! Posted in Blog and tagged Debris Removal, Declutter, Downsizing, Hauling Service, Junk Removal, Recycling.